Door Opening Size Inches: Required Select Inches 24" 25" 26" 27" 28" 29" 30" 31" 32" 33" 34" 35" 36" 37" 38" 39" 40" 41" 42" 43" 44" 45" 46" 47" 48" 49" 50" 51" 52" 53" 54"
We have designed a product to meet the needs of our commercial customers. 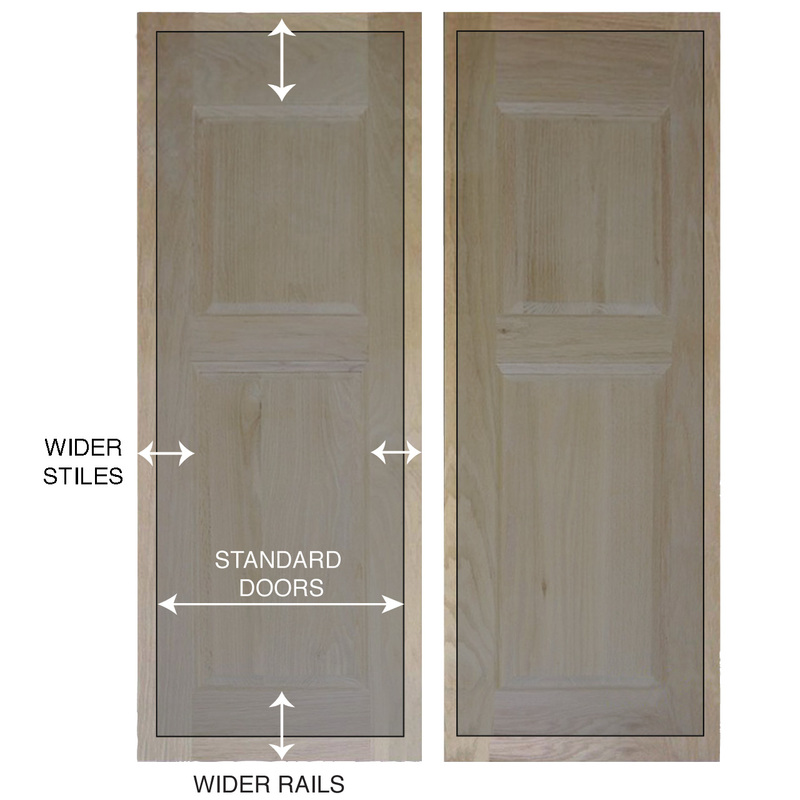 We increased the rigidity and strength of the door with much wider styles and rails. We have included two panels and a square top to blend into any environment, while maximizing coverage. Doors will be custom made to fit any door opening between 24" - 36". We do the hard work for you.... we will calculate the correct door sizes allowing clearance for the hardware and between the swinging doors. Sending you a ready to hang set of beautiful doors perfectly sized to fit your opening. No cutting, shimming or demo work required. Select door height from options listed above. The default height is 48".